I opened my mail and found a review copy of The Broken Path: How Catholic Bishops Got Lost in the Weeds of American Politics by Judie Brown. I decided I was probably too busy to even read it. Three chapters into it, I felt I had no choice but to write a review. When I gave my gift of writing back to God many years ago, my first book was a guide for passing on the Catholic faith. Judie’s book is about having the guts to live out that faith without hiding behind situational ethics. She has the courage to scrutinize the Church she loves by holding it up to Catholic ideals. Her criticisms are only directed at those who do not love the Catholic faith enough to teach without compromise. She contends that failure to do so is hurting our society. As the president and co-founder of the American Life League, the largest Catholic pro-life organization in the United States, Judie has witnessed the political intrigue among laity and leaders served up as excuses to lower the bar of Catholic morality. Although some would label Judie a radical, she would likely prefer to merely be called a Catholic– expecting that such a label means something. There lies the problem that Judie addresses. “It is obvious that something quite disturbing has happened to Catholic identity in the United States,” she writes. “Today it is nearly impossible to distinguish the Catholic American from any other American.” Judie claims that as Catholics in America, our primary goal should be to stand firm on the truths of Jesus Christ and not embrace worldly values that dilute it to the point that sin is painted as a virtue. But Judie’s criticism is not the hateful gruel of “Ha, ha, look what the priest did,” but rather, “Come on dear clergy, be Jesus and keep us on the Catholic path.” In my own past, I experienced first hand the damage a priest can cause when trading Catholic values for secular ones. “It’s not realistic to expect couples to follow the Pope’s teaching on birth control,” our parish priest who also worked as a doctor once told me. One vasectomy later, we learned the danger of assuming all clergy represent Catholic teaching. We are eternally grateful that the truth was discovered and the error was reversed soon enough so as not to miss welcoming four more souls into our family. 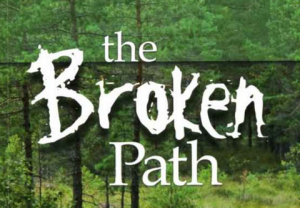 The Broken Path was written before the current war over the HHS Mandate—the Obamacare regulations that requires Catholic employers, hospitals and schools to provide health-insurance coverage to their employees that pays for sterilization, birth control and “morning after” pills. Yet, it presents the path that has perhaps bolstered the administrations confidence to believe that Catholics would ultimately go along it. It also is a call to Catholics to step out and say: Enough and no more! Through the union of all U.S. bishops working together against the mandate, there is a surge of unity and leadership, yet it is only a beginning. The Broken Path explains the history that led so much of our laity to become weak and uninformed. She covers a wide array of issues that have hemorrhaged away our strength, from health care and Catholic schools to politics and a lack of teaching on birth control. It is not an easy read in terms of facing problems, yet it is a good read. It is good to understand how we got where we are today. And just as disappointing decisions and behaviors among our priests and bishops are reported on, so too are stories of courage and heroism. Judie Brown is black and white on issues and that means that she is not without controversy and detractors, particularly on the abortion issue. Legislation that reduces abortion still does allow it so such compromise is not in her vocabulary. And yet, other dedicated pro-lifers often disagree, arguing that if backing imperfect legislation reduces abortions then it is best to support such bills than fight against them. Thus the bishop is the authentic interpreter of the word of God in his diocese and the pastor in his parish. I read here “Bishops and priests, after all, are representatives of Christ.” I agree and so bishops and priests in good standing should be obeyed. The priest has been appointed by the bishop and the bishop by the pope. Thus Ms Brown has no authority to judge and condemn the clergy. I would prefer to trust the pope and the bishops united with him than Judie Brown. Noel, at no point is anyone recommending that Bishops not be obeyed. That is not what the book is about. Just like Obama, a radically pro-abortion president being invited to Notre Dame to speak, that was controversial and MANY priests rebelled against it. Did they mean they didn’t respect the priesthood or were being disobedient to the president, Fr. Jenkins? If we study history and the times of corruption and scandal such as the selling of indulgences, is that disrespectful? Since I have read the book, I know there are specific quotes and news stories of times in our Catholic history that show an erosion among the laity of following Catholicism even thought they will still say they are Catholic–birth control being a prime example. But a parallel situation is that there has been a lack of strong teaching from some of our leaders. I once had a priest tell me that it’s unreasonable to expect married couple to follow the teaching on birth control. After my husband’s vasectomy, I am so grateful that God opened our eyes and he had a reversal. So is it disrespectful for me to point out that many priests are advising the laity that artificial contraception is okay? Would that be disrespectful? Is it wrong to say that many priest either mislead or are silent on this topic and the result is a laity that has not been clear on Catholic teaching? I love the Catholic church and have written hundreds of Catholic articles and 9, going on 10 books (plus 2 more ghost written). I strive to give my life to God and the Church. Judie Brown’s book is reporting but also loving the Church. She encourages people to encourage and pray for our priests and bishops. OFten controversy erupts whenever anyone writes something negative happening in our Church. When I was in college, I learned about selling of indulgences and other Catholic corruption issues. I was shocked because this was never mentioned in my Catholic high school. Far better to understand that men are imperfect and not even our clergy are perfect but the Church is always perfect. Putting our head in the sand regarding failings doesn’t help to correct them. It also leaves the laity feeling either betrayed or uninformed. many thanks for your thoughtful and detailed reply to me. I realize how full a life you have and thus appreciate very much that you took the time to reply to be in such detail, with clarity and charity. As a male I read your articles, and enjoy them. Thanks for them also. The work you do for the church is very positive and fruitful. Well done! I know you are a good Catholic too and love the Church. Your concerns are valid. It is a fine line between pointing out problems and bashing the Church. I do prefer to spend my time celebrating the Catholic faith, and all my books have done that. I usually don’t even like to read about the negative, but then, it is good to have our eyes open. Your comments are always appreciated. Reform in the Church is reform of head and members, the “head” being the hierarchy and the “members” being us. So it is that God will send holy lay people, for example St. Catherine of Siena, to help the hierarchy get its act together. Nothing is happening today concerning the reform of the Church that has not happened before.